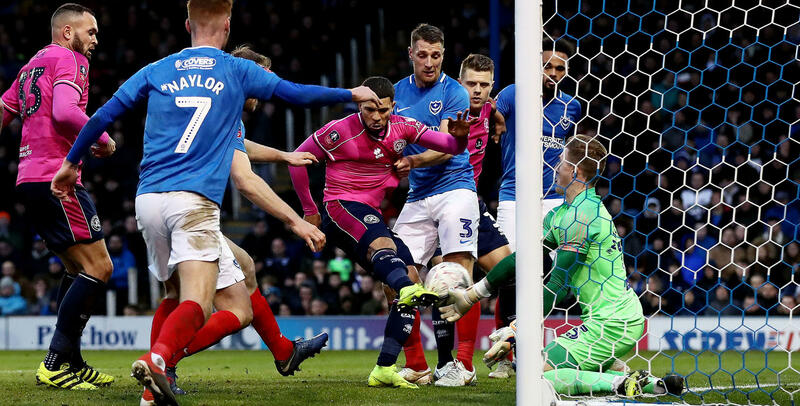 Thanks to a Nahki Wells equalizer Queens Park Rangers will face a replay of their fourth round Emirates FA Cup against Portsmouth after the two sides played out a 1-1 draw at Fratton Park. Joel Lynch’s own goal in the 63rd minute was cancelled out by Well’s 75th minute effort, meaning the two sides will now square off at Loftus Road to decide the tie. Portsmouth found the opener in the 63rd minute when Lynch inadvertently turned the ball into his own after Lee Brown’s cross from the left. The goal sparked Queens Park Rangers into action and they found the equalizer twelve minutes later via Wells, the Bermudian poking home from close range after Freeman’s corner had caused havoc in the box. Bermudian international Reggie Lambe was expected to take part of Thursday training session according to Cambridge United head coach Colin Calderwood and he was to be accessed ahead of the trip to St James Park. Lambe was not included in the team that saw Cambridge United go down 1 – 0 to Exeter City who go an 82nd minute strike from Nicky Law. Dante Leverock and his Sligo Rovers teammates won their second Pre-Season friendly defeating Galway United 3 - 0. Sligo Rovers would get two goals from Regan Donelan and one from Leverock. Jonte Smith and his Lewes FC teammates went down 2 – 1 to Harlow Town. Smith who started the match on the bench replaced Luke Blewden in the 49th minute. Harlow Town took the lead in the 63rd minute when Nathan Koranteng scored, but four minutes later Lewes were level when Dayshonne Golding scored. The Harlow Town winner would come in the 76th minute when Drew Richardson scored.